Meals packed with fresh vegetables add lots of vitamins and minerals to your diet while also providing you with plenty of fiber and antioxidants to feel your best. Sometimes it’s difficult to get enough daily doses of these nutrient-dense foods without forcing yourself to eat a salad at every meal. 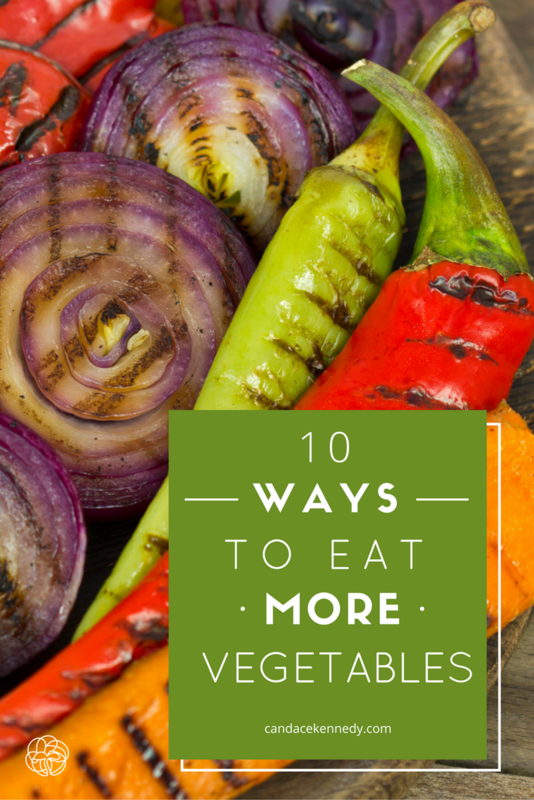 Here are some delicious and creative ways to sneak more veggies into your diet. 1. Sub greens for grains. You may be used to grilled chicken with a side of mashed potatoes or roasted salmon on top of a bed of rice. What if, for at least one meal a day, you substitute that pile of grains for a cup of your favorite greens? You can steam or braise them, or even eat them raw as a salad. It’s a great way to get an extra dose of vitamins and minerals every day. That’s right. Turn those veggies into “noodles.” Zucchini, beets, carrots and sweet potatoes are among the many vegetables that easily transform into noodles with the right tools. This is great because for almost any pasta recipe, you can swap out the pasta for a vegetable so delicious you’ll forget the original instructions ever called for pasta at all! 3. Get your frittata on. There’s no better way to start the day than with a dose of veggies in your morning eggs. You can use fresh ones, or you can work with leftovers from the night before, stirring them into a breakfast scramble. Get creative! I’ve never come across a vegetable that wasn’t tasty inside a frittata. 4. Hide veggies in sauce. While there’s always a place on your plate for whole, gorgeous veggies, there’s no harm in sneaking extras into sauces and soups. Carrots, broccoli, cauliflower and many others tuck nicely inside a sauce, adding an interesting and delicious flavor profile. Don’t worry – when you use the right amounts, you won’t even notice they’re there. Counter to what the food pyramid may have taught you, fresh vegetables should be the foundation of any meal. Try to aim for vegetables on 50-75% of your plate (this is surface area of the plate, not % daily calories). The rest of your plate should be made up of a high-quality protein (think grass-fed meat, pasture-raised chicken, and wild-caught cold water fish) and healthy fat. Making a hearty soup or stew? Double the amount of vegetables that the recipe calls for. This will shift the proportions of the meal (remember, we’re shooting for that 50-75% veggie range), without changing the flavor of the dish. Think sliced bell peppers, fresh snap peas, baby carrots, sliced cucumber and cherry tomatoes. All of these go great with plant-based dips like beet hummus, guacamole and baba ghanoush. 8. Get in on the cauliflower craze. Are you a grain fanatic looking for ways to cut back on starchy carbs? Cauliflower is a great substitute for rice, mashed potatoes and more! This vegetable is so versatile, you can even make a tasty pizza crust with it. Who says you have to wrap your lunch meat with bread?! There are many other substitutes that not only add vegetables, but flavor and texture, too. Try stacking sliced meat, veggies and condiments between two red bell pepper halves. Lettuce works well, too. If you’re looking for something heartier, two slices (about 1” each) of baked sweet potato make a hearty and satisfying “bun” replacement. 10. Yes, you can still have lasagna. Thinly sliced zucchini and eggplant are great substitutes for lasagna noodles in any recipe. Try layering these with your favorite marinara sauce and cheese (if you can tolerate dairy). You could even go the extra mile by hiding some extra veggies in the sauce. What’s your favorite way to get more vegetables in your day?